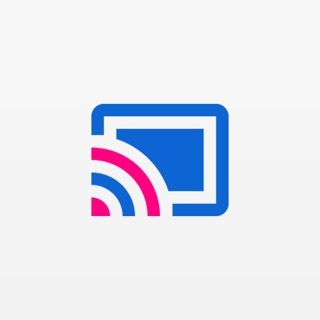 SlideshowCast works with Chromecast to help you turn photos into slideshow video on iPhone/iPad/iPod touch for streaming to bigger TV screen wirelessly. 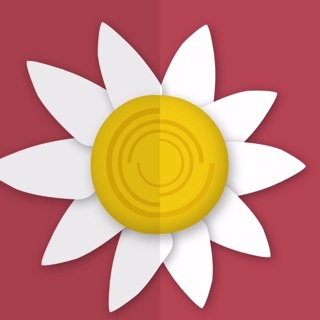 SlideshowCast lets you organize your photos in iPhone/iPad/iPod touch Camera Roll and Photo Library and turn them into video slideshow momentarily with instant preview. 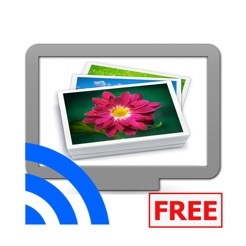 You will be able to cast your slideshow on TV via Wi-Fi with the help of Chromecast. Apart from casting slideshow on TV through Chromecast, you can also choose to save slideshow video to iPhone/iPad/iPod touch Camera Roll. 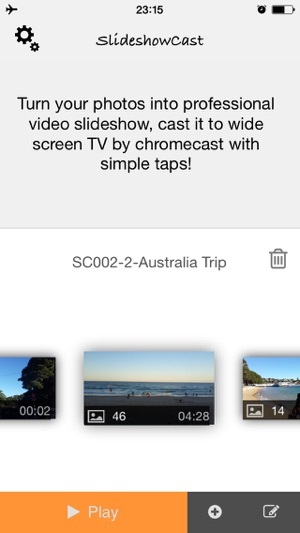 Chromecast iPhone iPad app also provides various options to custom your slideshow video, like adding background music, inserting title/watermark, enabling Pan & Zoom, adjusting video quality, applying transitions, specifying slide duration, and more. 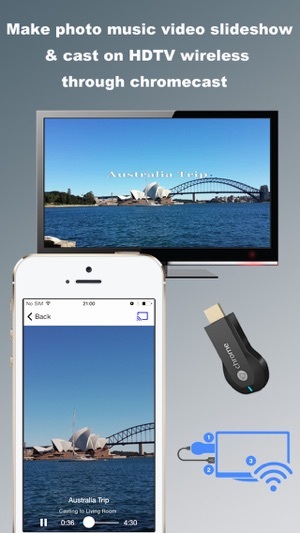 *Chromecast device is required to cast slideshow video on TV. 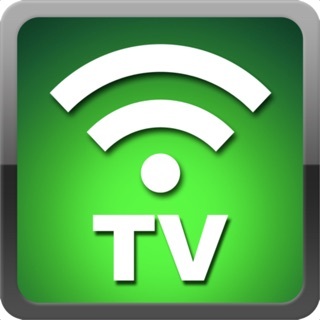 *Make sure both iPhone/iPad/iPod touch and Chromcast are connected to the same Wi-Fi network in order to cast slideshow video on TV successfully. 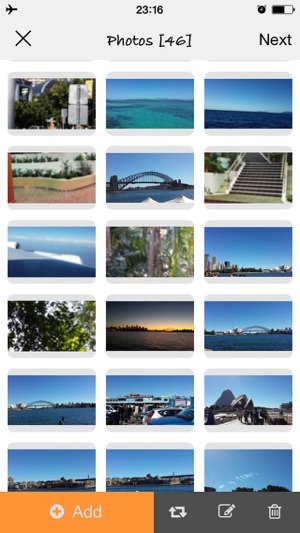 *Select/organize photos from iPhone/iPad/iPod touch Camera Roll and Photo Library. 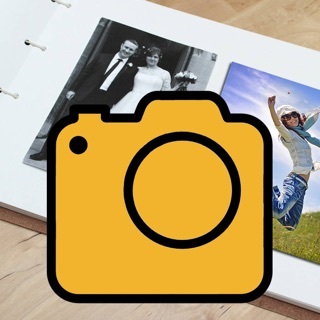 *Edit slideshow projects like adding photos, deleting photos, rearranging photos, and more. *Edit photos with the built-in photo editor tool. *Add background music to slideshow video. *Customize slideshow video like title, watermark, Pan & Zoom, transitions, duration, video quality, and more. 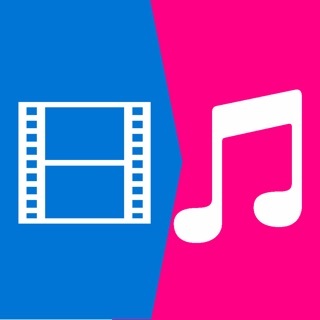 *Save slideshow video to iPhone/iPad/iPod touch Camera Roll. 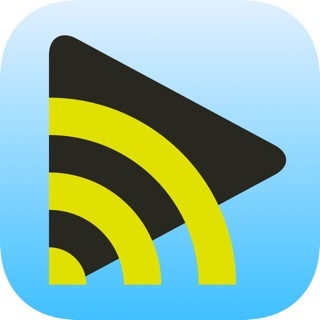 *Use iPhone/iPad/iPod touch as a remote control to play, pause, drag forwards and backwards, etc. I purchased this to create a slide show for my daughters 15th birthday and it turned out wonderfully. 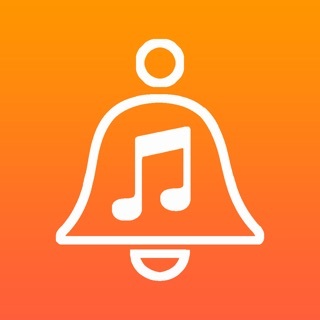 It even had a feature where you can add multiple songs that will play while the slide show is playing. Easy to use and navigate. 5 stars! 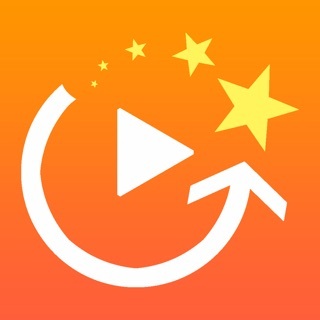 After downloading about 10 apps this was by far the easiest and best I found to make a video of family pictures. I paid 2 bucks to remove the watermark and couldn't be happier with the results! Easy to use. Managed to make my slide show in a few minutes. It never saved to my camera roll on my iPhone 6s like it said it would. So I'm leaving this review to see if after I do it'll show up in my camera roll.